Every year hundreds of car enthusiasts descend upon Old Town Temecula to showcase their Pre-1974 classic cars & hot rods!. The famous “Friday Night Cruise” showcases hundreds of classic vehicles from all over the country cruising down Old Town Front Street. Hear classic cars roar, rev up their engines and honk their horns! The show attracts thousands of automotive enthusiasts and spectators year in and year out. 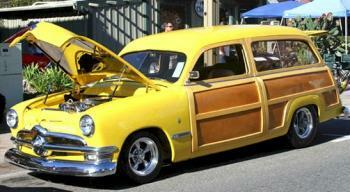 Over 600 cars, including classics, special interest vehicles, hot rods and custom cars will be on display. Cruising starts at 5:00pm and goes on till 8:00pm. The event is FREE to the public, music and entertainment are always a big hit, as well as great food, community vendors and much more.